Created on hand made paper, this Orthodox text is written with three shades of green. The Star of David is constructed with blessings for the married couple in Alphabetical order, and with verses from "Song of Songs", written in blue and gold paint. 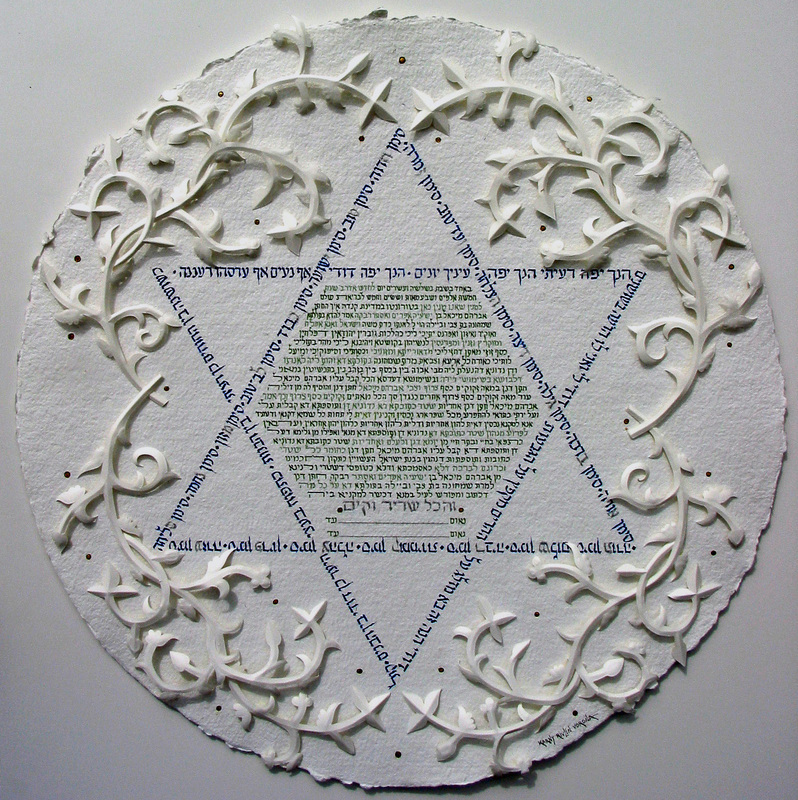 The vines around the Ketubah text are made with the Paper-Sculpture technique and ornamented with 23K Gold Leaf dots.